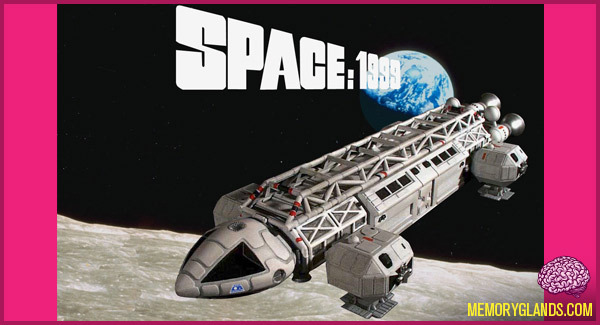 Space: 1999 is a British science-fiction television series that ran for two seasons and originally aired from 1975 to 1977. In the opening episode, nuclear waste from Earth, which was stored on the Moon’s far side, explodes in a catastrophic accident on 13 September 1999, knocking the Moon out of orbit and sending it, and the 311 inhabitants of Moonbase Alpha, hurtling uncontrollably into space. The series was the last production by the partnership of Gerry and Sylvia Anderson and was the most expensive series produced for British television up to that time.